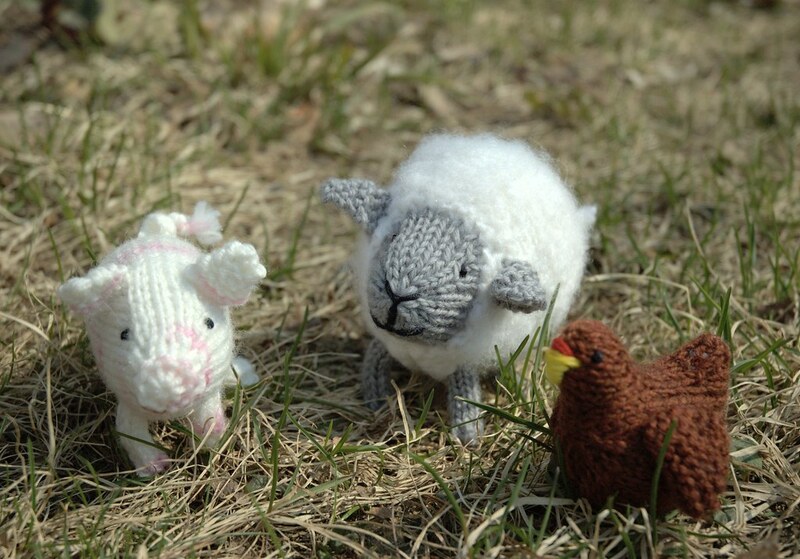 The Fuzzy Farm pattern is now available, in both my Etsy and Lulu shops. The pattern testing went really well, and hopefully now everything is clear, and you can all have fun knitting these little animals! My original set has also been drool-tested by my niece, and approved. I think it would be fun to design more little animals to go with the set, but I'm planning something else to work on next. Perhaps eventually I can design a rooster, goat, and maybe a duck, to expand the set, but I'm also open to suggestions. The new version of the Fuzzy Lamb is all done too. You can find it at Lulu and Ravelry. My wonderful husband spent 2 days figuring out a new editing program, so the pattern formatting also looks different. The main changes are arms with elbows, a small change to the placement of increases on the body, and a change to the head so it is wider with chubby cheeks. I really like the diffence these changes make to the appearance of the toys, and I hope you do too! I'll be spending most of today getting ready for a crafty party with my girl-friends tomororw. We'll be making paper, although these parties are mostly about chatting, eating, knitting, (and sometimes a little drinking). Then next week it's back to work! I need to start working on the next new pattern, so I can keep all of you interested! Posted by Barbara Prime at 8:40 a.m.
this new lamb looks so cute, congratulations. May 23, 2008 at 10:02 a.m. 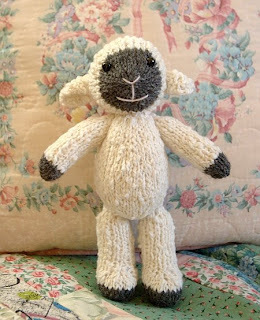 Thank you for being so generous in giving away the new pattern for the lamb. Can't wait to try the farm animals. My friend loves pigs so that is where to start! May 24, 2008 at 4:43 a.m.
May 24, 2008 at 12:25 p.m.
May 24, 2008 at 12:47 p.m. I love your chicken. I just made up a chicken pattern and they have a difficult body shape. Your's is adorable! May 26, 2008 at 10:29 p.m.